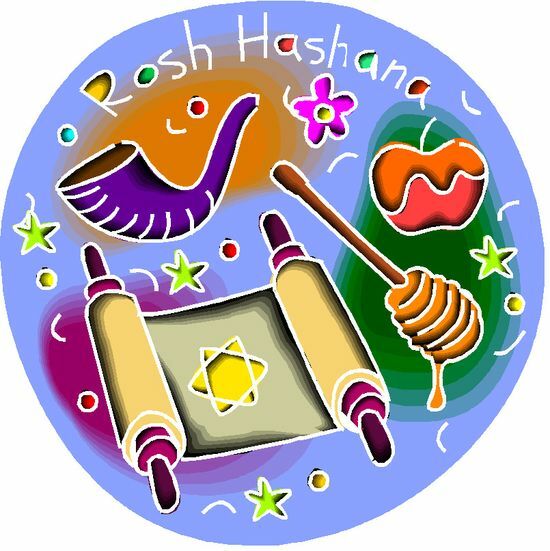 One of many important and religious holidays celebrated by Jews around the world is Rosh Hashanah, which falls on the first day of Tishri, the first month in the Jewish calendar. The day may land anywhere from September 6th to October 5th. The Jewish year is divided into twelve lunar months, with an extra month every two or three years, each month containing 354 days, while the year with 13 months lasts 383 days. This day is also commonly called the Feast of Trumpets and marks the beginning of a ten-day period of observance that ends with the celebration of Yom Kippur, or the Solemn Day of Atonement. Contrary to how most other religions celebrate and ring in New Year, the Jewish observance of Rosh Hashanah is a somber occasion, and not meant for merrymaking. It’s meant to be a time during which those of the Jewish faith search their hearts and strive to improve themselves. It’s a time for reflection and meditation, and while not an observance that requires methods of mourning or sacrifice, sees most of the faith behaving in a quiet, reserved manner. Most faiths believe that in some manner, all humans will someday be judged before their Maker, and those of the Jewish faith believe that Rosh Hashanah is the day in which ‘all creatures pass review of the searching eye of Omnipotence’. It is also a day during which those of the Jewish faith believe that God receives the report of Satan and as such, often say to one another in passing, “May you be inscribed for a Happy New Year,” which refers to the belief that all names are written in a Book of Life. The time leading up to Rosh Hashanah is a time of much activity for most Jewish families, and everyone helps with cleaning and shopping for new clothes and food with which to observe the date. Prayer services are held at local synagogues in towns and cities across America, and on many occasions, the sound of a Shofar, or a ram’s horn trumpet echoes throughout neighborhoods, a sound that announces a symbolic tone of both hope and warning. The Shofar is also believed to confuse and frighten Satan. This unique instrument sounds one hundred notes each day of the observance. The sound, unlike anything many people have ever heard before, is meant to remind all Jews of the solemnity of the day and urges them to reflect on their behavior and lives during the past year. Rabbi’s read from the Torah, the holy book of the Jewish faith. No one works on Rosh Hashanah and much of the day is spent in a synagogue, where special prayers and litanies are offered. Another time honored tradition known as ‘casting off’ is honored this day, and involves the faithful walking to a source of flowing water, where they empty their pockets into the water in a gesture meant to symbolize the casting away of sins. Pieces of bread stored in pockets serve this purpose. A fine table is traditionally set for the dinner honored on that day, and laden with fine dishes and foods. Candles are lit as well, and prayers offered. Men, women and children dress in their finest clothes and gather with their families to attend this feast. Apples and bread dipped in honey are a traditional food, which symbolize a wish for a sweet new year. The observances of Rosh Hashanah differ slightly depending on whether the Jewish person recognizing the day is a reformed or an orthodox or conservative Jew, but throughout the world, Rosh Hashanah is a time honored tradition that has lasted thousands of years, and will continue to do so, both in the United States and abroad.